In the spirit of #tbt (throw back Thursday) I thought I’d post these old pics I stumbled across today. They are from 2003, when we lived in Dallas. 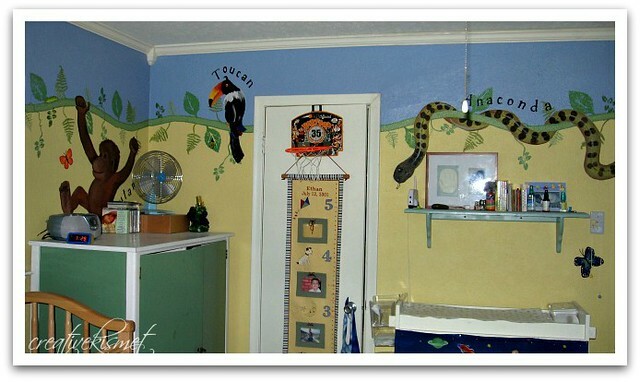 I had painted my oldest’s room with a jungle theme. He was only 2 at the time and was really into making animal sounds. He did the most awesome jaguar growl. 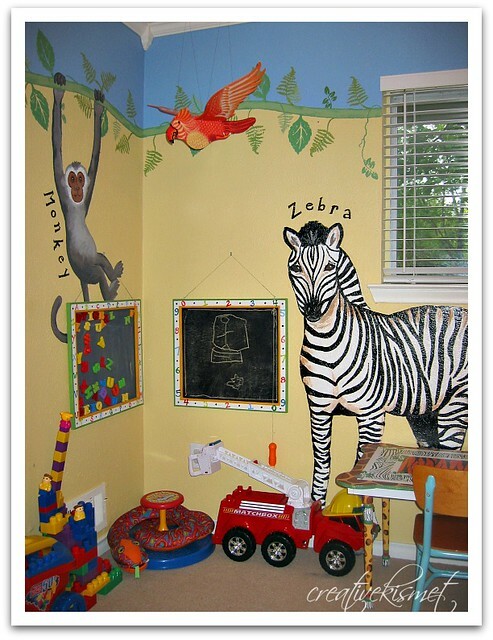 I had completely forgotten that I went completely crazy painting his room! 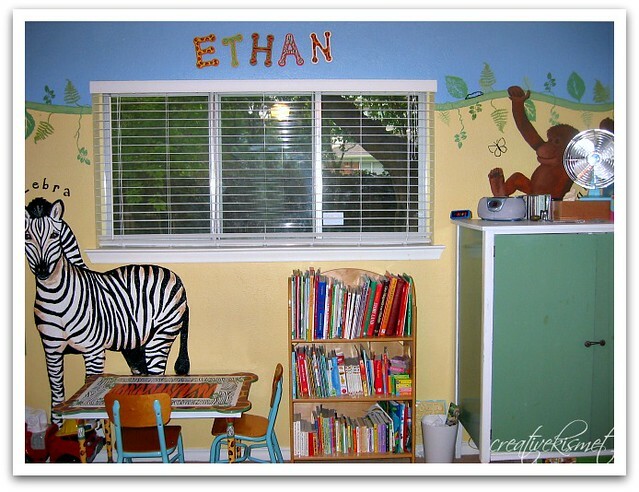 I had even made the magnet and chalk boards out of plywood and decorative molding. I must have had a lot more energy back then! This was pre-blogging days, so they were never shown on my blog and I thought, why not share them now. It reminds me of a time when it was fun to do cutesy stuff for the kids. Before they turned into grumpy pre-teeners. Now their room smells and looks like a boys locker room. Gross! I’m not even allowed to hang anything on the walls without asking first, which is just no fun at all!! 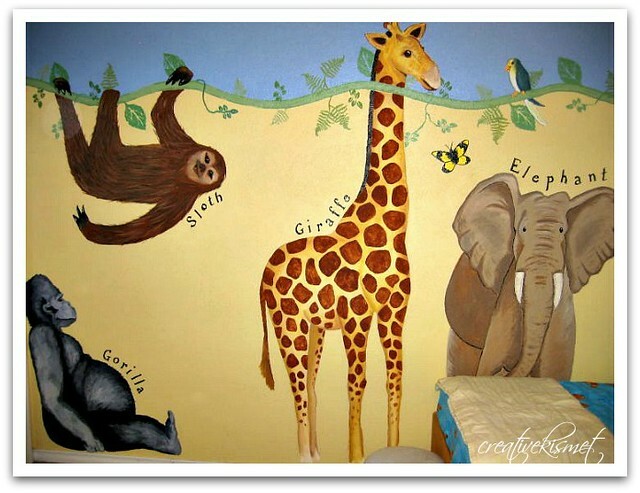 This entry was posted in Art, Fun kid stuff, Home Sweet Home. Bookmark the permalink. Love that mural! So much fun. I bet your kiddos loved it! Also, thanks for explaining tbt! I keep seeing it and am super hip (not at all) so I naturally had no idea! Your blog is so fun to read. Thanks! What an AWESOME room!…I love it!